In celebration of BTS’ comeback album, Map of the Soul: Persona, ARMYs are able to update their Twitter or Facebook display pictures with a US BTS ARMY personalized Twibbon design. Click here to add one to your profile picture! These projects were a special collaboration between Kookie Monster, Army United BTS, Bangtan Tumblr, and us. The 2018 Billboard Music Awards took place at the MGM Grand Garden Arena in Las Vegas on May 20th, 2018. A Snapchat Geofilter was made for BTS' Debut Performance at the 2018 BBMAs. We passed out fanchant printouts for BTS' Debut Performance at the 2018 BBMAs. This project was a special collaboration between Kookie Monster, Army United BTS, Bangtan Tumblr, and us to pass out fanchant guides for ARMYs to practice in preparation for the 2017 AMAs. The 2017 American Music Awards took place in Los Angeles, California. In addition to the AMAs, it was passed out in line for the Jimmy Kimmel Outdoor Mini Concert. This project was to provide a cost-effective solution in light sticks for ARMYs that weren't able to purchase an ARMY bomb (light stick) but still would've like to participate in creating an ARMY ocean for BTS during the 2017 BTS Live Trilogy Episode III: The Wings Tour in USA. Concert stops included Newark, Rosemont, and Anaheim. In both of our booths for NY and LA we held poster and album giveaways as well as activities such as taking pictures with our BTS backdrop. We also had a limited quantity of fan-made posters, fans, and stickers for ARMYs that donated. All proceeds went into future giveaways and projects. 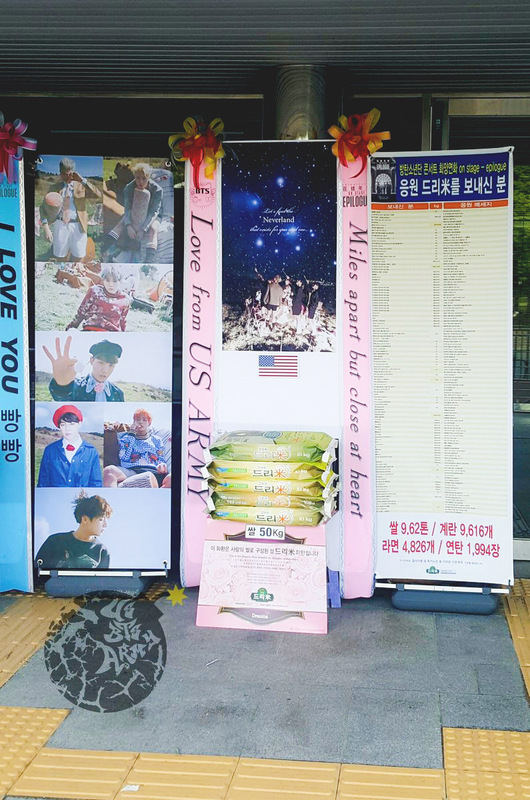 A collaboration between BELIEVE:RM, Star Bright, Flow So Sweet, Melt My Heart, Passion Boy, and us to donate a rice wreath in celebration of BTS' On Stage Epilogue Concert in Seoul, Korea. We raised a total of 50kg of rice! This project was a special collaboration between Melt My Heart, Command!, Meant to V, Pocket of Hope, Divine Treasure, and us to raise support to produce banners to pass out at Highlight 2015 in San Francisco. This project was a special collaboration between Melt My Heart, Command!, Monster J, Ray of Hope, Pocket of Hope and us to raise support to produce banners and fans to pass out at the 2015 BTS Live Trilogy Episode II: The red bullet in US concerts. Concert stops included Dallas, New York, and Los Angeles. Back when we were just West Coast ARMY, we shared a booth along with UKISS fanbase, KISSME's Forever at KCON 2014. 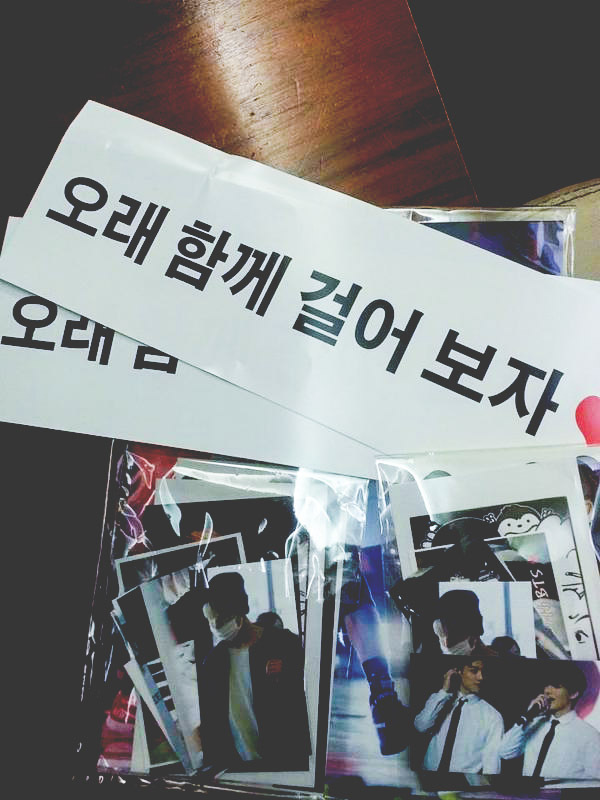 At the booth we had a limited quantity of banners and stickers for ARMYs that donated, we also did mini giveaways. All proceeds went into future giveaways and projects for ARMYs and BTS.